Knowledge Dugong: Architects Behind Vios? First thing first my apologies to everyone because I haven't been updating regularly. And I'm sorry that I haven't been visiting your blogs for awhile. You see I'm currently "back in school". Yeah! I took up a course to make me more "professional". So I have been studying like mad these few days. I have just woke up because I haven't have any sleep for the past 36 hours or so...Worse still everything has to be studied in my "favourite" Chinese language. OMG! I am supposed to be preparing for my exam tomorrow...never mind...I'll try to make this as fast as possible! 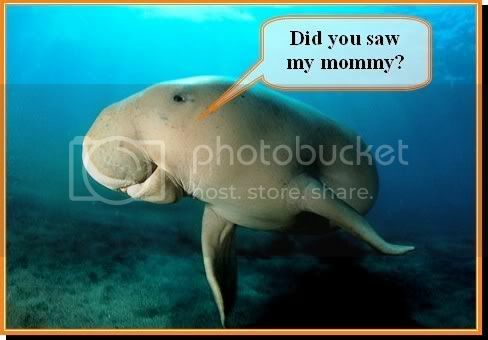 So WHO is Dugong? Any idea? Actually I was prompted to write about this after I received a comment about how similar both Toyota Vios and Dugong look alike. I was baffled when I 1st read the comment written by Weezer! but after taking a 2nd and 3rd serious look at the "sleekly" Vios...heck! What he said did made sense. Now, I really have to believe that Dugong is the architect in Toyota who inspired the Vios! So who on earth is this Dugong? Where is he from? A Japanese? Or African? 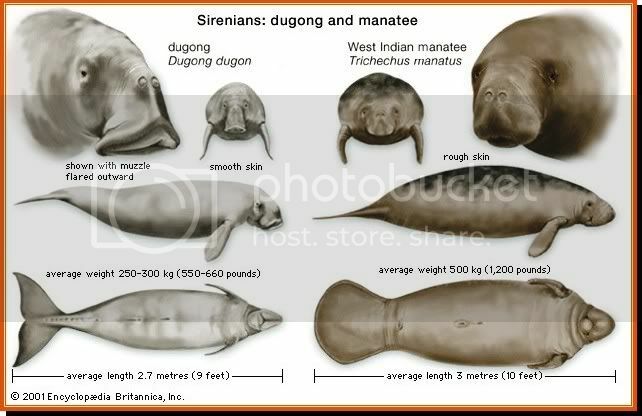 The difference between dugong and manatee! 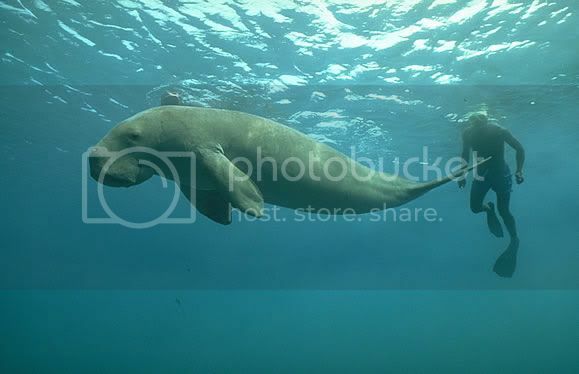 These poor dugongs have been hunted for more than a few thousands of years mainly for its meat and oil. Although trade and hunting on dugong has been banned, their numbers continue to decline. The main causes of population plunge are hunting, habitat degradation, and fishing-related fatalities. Did you guys know that dugong have a lifespan of 70 years. And that converts to slow rate of reproduction making it especially vulnerable to extintion! Besides we-human, the dugongs also have to face the wrath of storms, parasites, and their natural predators, sharks, killer whales, and crocodiles! So can our children still live to see these "living mermaid"? Dugong Vs Vios-They look the same? Hello tekkaus, how are you doing? Dang dang dang dang~ This is bb community from bbmarketplace.blogspot.com. Just to inform that i've back to my blog again and i wish you could enjoy reading over there. Oops, just to remind that the World's Largest Blogroll has move to bbmarketplace.blogspot.com as well. BB community-->I'm fine here. War...long time didn't listen from you already. Where have you been? Ha =) Anyway glad to have you back. Hahha..thanks for showing the comparison! I agree. I always thought that both the Vios and Honda City are REALLY FUGLY cars! !